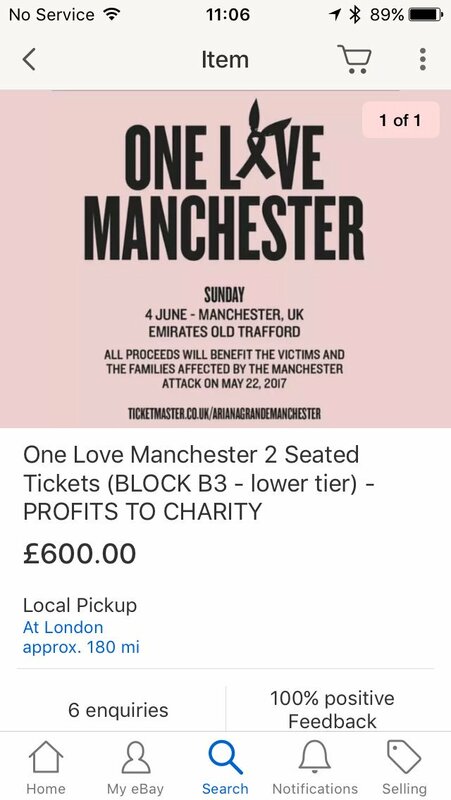 Calculating ticket touts have tried to get their hands on more than 10,000 free tickets for Sunday's One Love Manchester concert - with some already appearing on resale websites. Ariana Grande announced the charity show after her performance in the city came to a horrifying end when a suicide bomber struck in the foyer of the arena, killing 22 people. Tickets were offered at no charge to people who had been at the show that night, with the rest going on sale to the general public at £40 a piece. All proceeds from ticket sales are intended to go to survivors of the blast and the victims families - but while the 14,200 people who were at the concert were promised free entry, thousands of fake applications were lodged with Ticketmaster. Ticketmaster said it had extended the deadline to apply for tickets, originally set as 4pm on Wednesday, to try to solve some of the issues. 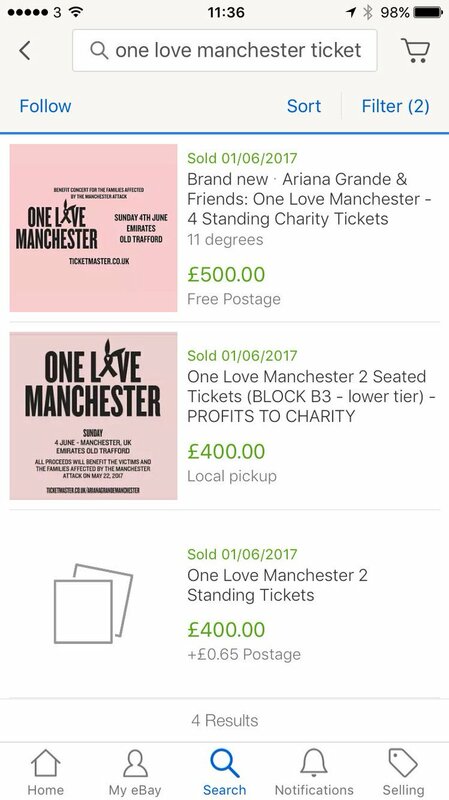 We have set aside tickets for the 14,200 people who were at the Ariana Grande concert to attend One Love Manchester for free. More than 25,000 people applied for them. Sadly, over 10,000 unscrupulous applications have been made. At Ticketmaster we are doing everything we can – including extending today’s deadline – to ensure that tickets go to the actual fans and not the opportunists or touts who have also been applying for free tickets. The resale prices - some more than 10 times the face value - caused outrage online, as people posted screengrabs of the asking prices on some sites. Ticketmaster tweeted on Thursday afternoon they were working to cancel the tickets of those trying to resell. Katy Perry, Coldplay, Miley Cyrus, Take That, Pharrell Williams and One Direction's Niall Horan are among those lined up to take the stage alongside Ariana Grande for the fundraising gig on June 4.